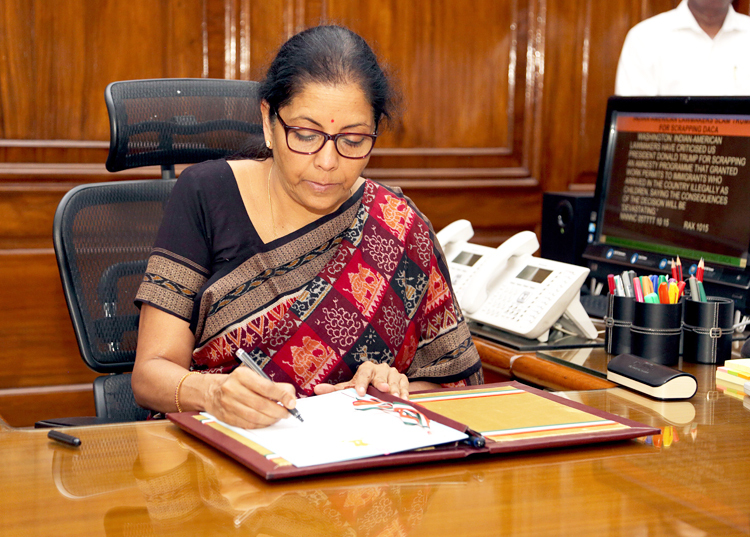 Mrs Sitharaman holding independent charge of Ministry of Commerce & Industry did have an overview of the pathetic state of equipping of the military; the chapter on defence on official website of Ministry of Commerce & Industry in 2014 reading 50 per cent of equipment held by the our military is obsolete and 33 per cent provided by the DRDO sub-standard. Nirmala Sitharaman taking charge as the Union Minister for Defence, in New Delhi on September 07, 2017. Address all long-pending issues in concert the Prime Minister and Cabinet Committee on Security (CCS). 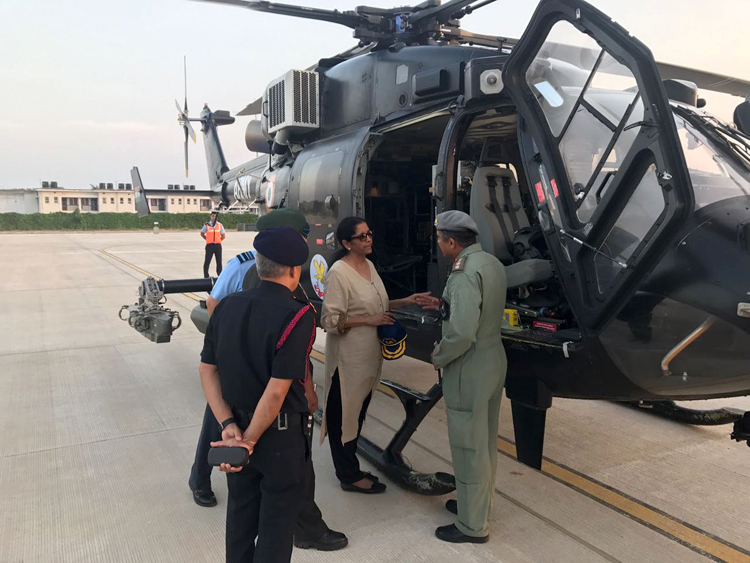 The Defence Minister may also seriously consider combatizing civilian-defence employees, enhancing military synergy and reducing civil-military acrimony. Earlier, Mrs Sitharaman holding independent charge of Ministry of Commerce & Industry had overview of the pathetic state of equipping of the military; the chapter on defence on official website of Ministry of Commerce &Industry in 2014 reading 50 per cent of equipment held by the our military obsolete and 33 per cent provided by the Defence Research and Development Organization (DRDO) sub-standard. With defence neglected past decade plus, the Defence Minister has multiple challenges, some of which are highlighted in the following paragraphs. The start point for planning and organization of defence must be the National Security Strategy (NSS) and Comprehensive Defence Review (CDR), both periodically reviewed. In absence of these, procurements and development remain patchy. On two different occasions, two different NSA's during UPA II were briefed at HQ Integrated Defence Staff (IDS) how military can assist in defining the NSS, but were met with crass indifference. The Defence Minister would do well to initiate this process, especially when without the NSS, even tasking of intelligence agencies can hardly be holistic. The reorganization of Higher Defence Organizations (HDO) including the Ministry of Defence (MoD)are long overdue. Without adequate military representation, gaps in strategic policy formulation and matters military will persist. Currently, some 20 middle-level appointments in MoD are being identified for manning by military officers. Concurrently, Cabinet has approved creation of seven posts of Principal Directors (PDs) and 36 posts of Director on regular basis of in the AFHQ Civil Service, MoD. Unless there is 50 per cent military representation 'at all levels' in MoD, nothing will likely change. The solution is merging HQ Integrated Defence Staff (IDS) with MoD which was the premise on which latter was raised but stymied by bureaucracy.Participation of the Service Chief in the CCS and selected military officers in NSCS, NSAB, SPD, MoD too are need of the hour, in addition to the Defence Minister meeting Service Chiefs individually every month. The CDS recommended by the Kargil Review Committee and follow up Group of Ministers, appears shelved even now. Besides, the CCS note on which HQ IDS was raised reads, "As and when the CDS is established, he will have equal voting rights as the Service Chiefs, and if two Service Chiefs disagree, MoD will arbitrate", implying the CDS can hardly speak as one voice to the government. The CDS is required more to ensure military synergy and oversee the much needs Revolution in Military Affairs (horizontally and vertically) under directions of the political authority. Erstwhile Defence Minister Arun Jaitley recently said military power is key to a nation's rise to super power status, but military power cannot be built on 'negative' defence budgets; the current and previous one being in that category. 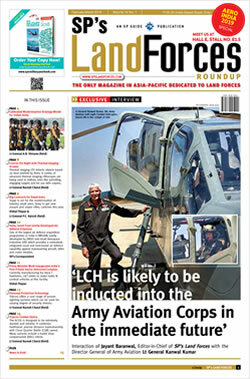 Besides NSS and CDR that would ensure allocations based on operational needs, we need to review pre-budget procedure bringing the Parliamentary Standing Committee on Defence in the loop, similar to the US; let military present budgetary requirements to the Committee based on present and required operational capability, and let the Committee project requirements to the government / Parliament. Where the US President goes to the Senate for funds, why should we continue with the defence budget based on arbitrary cuts by the Finance Ministry? Adhoc measures like allotting 20,000 crore for making up part ammunition deficiency in face of Doklam standoff, and enhancing financial powers to chiefs, vice chiefs with overall 'negative' defence budget don't mean much. The CDS is required more to ensure military synergy and oversee the much needs Revolution in Military Affairs (horizontally and vertically) under directions of the political authority. Under existing Government of India AOB and TOB Rules 1961, the responsibility of defence off India is with the Defence Secretary, not the Defence Minister. Also the Services HQ are officially 'Attached Offices', as in British era, which has been resulting in authority without accountability on part of the MoD. This must change. The recent measures approved for as 'army reorganization' including shutting down 39 Military Farms and redeploying 57,000 personel including 31,000 civilian-defence employees can at best be termed knee jerk. Combatizing civilian-defence employees would actually cost the government less and improve functioning. Performance audit of non-combat organizations under MoD and making organizations like Defence Estates, Defence Accounts, DGQA, Ordnance Factory Board (OFB), DRDO accountable is inherent responsibility of MoD, and cannot be classified reforms. Similarly, 'Roll On' plan for fresh acquisitions to overcome 'surrendering' funds at the end of every FY is misnomer, as it still leaves loopholes. The requirement is for 'unutilized' defence budget to be carried forward to next FY. This is happening because at every stage, we resort to reinventing the wheel. Even if there was need to order a fresh study, the start part should be the most recent study done by the military on the issue. Similarly, five comprehensive studies on Theatre Commands are gathering dust in HQ IDS. With centre of gravity of conflict veering towards to the Indian Ocean Region, there is also need to review the case for a Marine Brigade buried in MoD past 20 years. The military needs synergized reorganization horizontally and vertically, taking into account threats to national security and suiting hybrid warfare requirements. 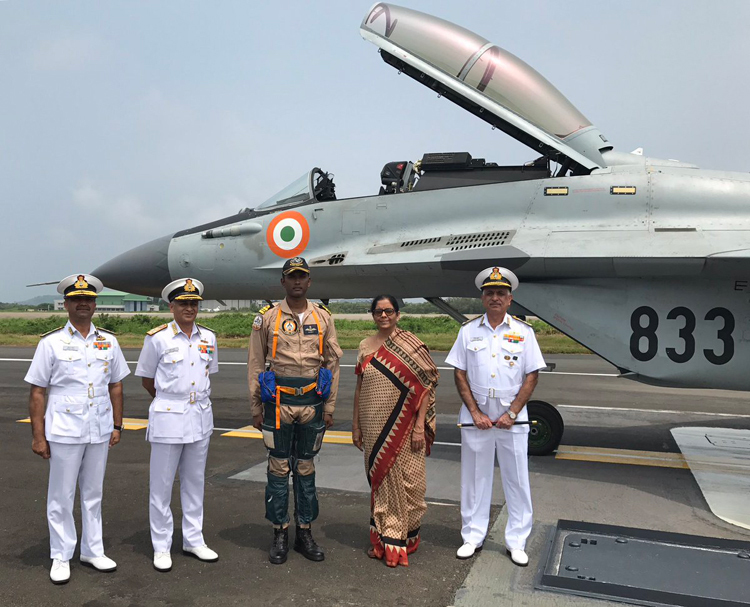 The Defence Minister may also seriously consider combatizing civilian-defence employees, enhancing military synergy and reducing civil-military acrimony. The Defence Minister has already laid emphasis on 'Make in India'. However, as far as procurements go, the emphasis all along is on big-ticket weapon systems. But, at the cutting edge where daily battles are being fought daily, the soldier is completely neglected – ill-armed and under equipped, downgraded in pay and allowances, even humiliated indirectly to certain extent. This must be corrected. As far as procurements go, the emphasis all along is on big-ticket weapon systems. But, at the cutting edge where daily battles are being fought daily, the soldier is completely neglected - ill-armed and under equipped, downgraded in pay and allowances, even humiliated indirectly to certain extent. Despite Joint Secretaries on all the boards of DRDO-DPSUs-OF, their output has been far from satisfactory – leaving aside patchy bright spots like the recent ATAGS (Advanced Towed Artillery Gun System). One major reason for this is that the user (the military) does not have representation at the planning, design and decision-making levels in these organizations. This needs to be looked into by the Defence Minister. The RMA is needed across the board and the 'hollowness' in defence needs to be made up on priority. This should include reorganization of the higher defence step and the MoD, synergizing the military, optimizing cyber, space, information warfare, electromagnetic, modern systems using state-of-the-art-technologies, robotics, artificial intelligence, stealth, precision fire, and ability to hit the adversary deep inside its territory through the entire spectrum of conflict, including the sub-conventional. It is imperative that the military be closely integrated into the national space and cyber programs, not kept aside as is the case presently. The Armed Forces Tribunal (AFT) have recently been put under MoD, contravening a Constitutional Bench judgment of the Supreme Court which directed the placement of tribunals under the Law Ministry. Can there be anything more absurd when MoD is the one against which most orders of the AFT are to be passed. The Defence Minister needs to review this, as it is directly linked to justice for the petitioners. The Defence Minister has dwelt on welfare of the soldiers and families. Military veterans must not be left out despite acrimony due to OROP protests. 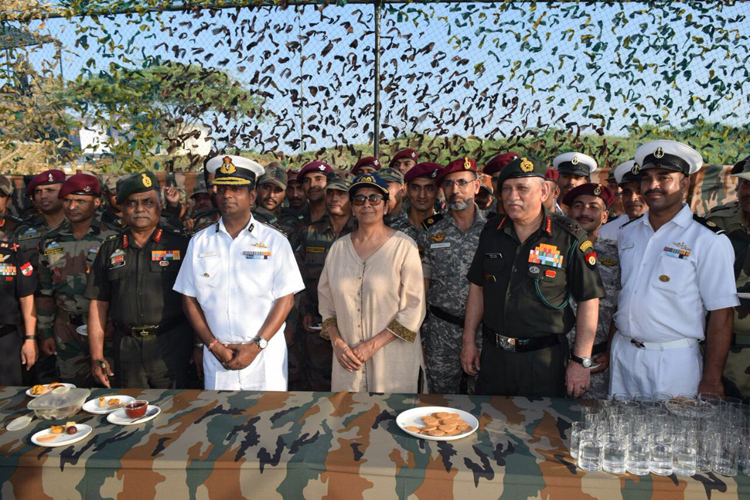 On September 3, Defence Minister mentioned to media she had intense exchange of views with her brother-in-law (Navy veteran) during OROP protests. 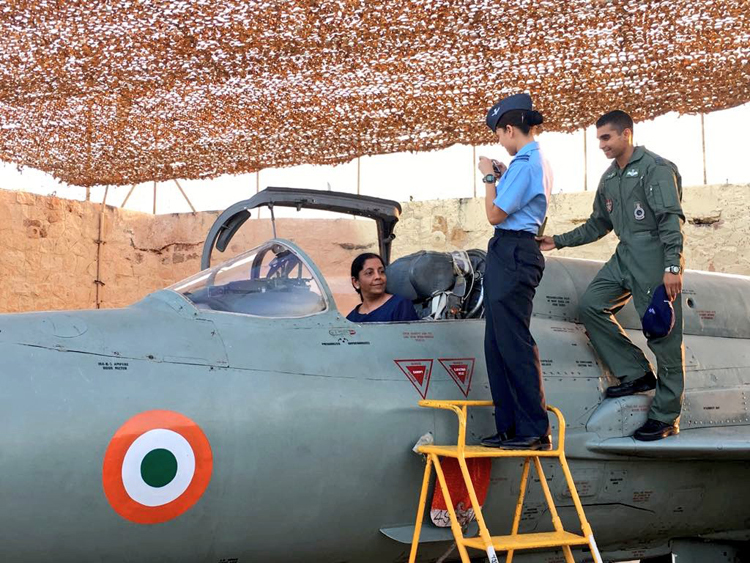 Being a lady, the Defence Minister would understand the deep scars left on psyche of the soldiers watching live the police baton charge on 'peacefully protesting' veterans at Jantar Mantar wearing regimental caps and medals – many having wards serving in military. Unfortunately there was no response from the government beyond sending a Delhi Police representative to apologize later. Ironically, a delegation of veterans meeting then Defence Minister Manohar Pariikar was told that they would not get their dues till the time they held a gun to his head. But with 60,000 military personnel retiring annually, is it right for the government to penalize the entire veteran fraternity because some protestat Jantar Mantar? Former Finance Minister Arun Jaitley's contention OROP cannot be reviewed annually is laughable in this computing age, especially when this is being done for others. All Zila Sainik Welfare Offices need to be digitally linked up with the MoD and Services HQ, with cases taken up by soldiers and families on the web portal, and progress reports made mandatory; as being done by Police for FIRs. Take up case for opening special cells looking into grievances of soldiers and families at district level in all states. The anomalies of the 5th, 6th and 7th CPC need to be addressed speedily. 7th CPC is a case of crass injustice to the military. When announced, all three Service Chiefs represented it should be implemented only after the anomalies are addressed. So MoD waited for them to retire and then issued 'special instructions' for implementing 7th CPC, which was the prerogative of the Army, Navy, Air Force. It can be seen from the above that the Defence Minister faces multiple challenges. But being a seasoned politician and given the pragmatism displayed by her in handling the Ministry of Commerce & Industry, there is no reason that her handling of the defence should not show systemic progress of above issues.